Group Affiliation: DVNTS (DeVries National Tactical Solutions). Base Of Operations: The DVNTS Base, Windhoek, Namibia. Height: 5’ Weight: 90 lbs. Create a force field which prevents even energy attacks from reaching her. She can project her own internal energy, both in an energy blast (known as “the “Infinity Justifier”) and as a means of causing targets to disintegrate (the “Infinite Wind”). She can sense oncoming danger before it manifests. Her physical appearance has been altered by her nova physiology, making her supernaturally awe-inspiring in her beauty. Her agility and stamina are superhuman. Linda Raphael grew up as a diplomacy brat. Her extended family is old, wealthy, and respected. She visits them at their manor outside of Buenos Aires at least once a year. Linda attended an international school in Washington D.C.. Then she went to Columbia to study religion and international relations. During her time there, Linda became more and more attracted to the study of Buddhism. Her interest was initially academic, reflecting on the differences between Tibetan, Southeast Asian, and Japanese spirituality. But as she studied the religion, he respect for it grew. She took time off from her studies after her junior year to join a monastery, where she spent her days in soto Zen meditation and menial work. During that time, she entered a period of complete silence. She began fasting, consuming only water and small, infrequent meals of raw vegetables between fasts. After this went on for months, an elderly monk brought her out to the monastery garden that was overflowing with ripe vegetables. The monastery’s kitchen was nearby and the smells of freshly cooked food hung on the wind, taunting her. Linda tended the garden for two months. During that time, she maintained her ascetic diet, despite the temptations of steaming rice and fresh plums. After watching others eating fresh plums all summer long, she could not stand it anymore. She ran through the garden, picking and eating whatever she could, juice running down her face. Three bowls of rice followed the produce. She sat in the garden and put down her bowl. Her bellow was painfully full. Tears streamed down her face. A wind blew on her neck. She erupted. Lotus Infinite has left the monastery, but the monastery has not left her. She believes that she performs mercenary work for the experiences it gives you and meditates daily. Confused, she doesn’t know what to make of her eruption. In some ways, she thinks it retards her understanding. But she gained at least one thing from her gorging: the knowledge that transcending ones self is not the same as repressing ones self. Therefore, she uses her powers in the world and continues her quest for enlightenment. Her family prefers this arrangement. In the meantime, all of her income as a mercenary is donated to the poor. Linda Raphael is a beautiful Hispanic woman. When she stands up straight, she is all of five feet tall. She wears simple, loose clothing and sandals when not on assignment. DeVries has provided her with a plain white eufiber bodysuit to wear while working, which she compliments with various wooden masks she obtained in Lhasa and Thailand. Alternately serene and agitated, she spends nearly equal amounts of time in seclusion and exploring the world in all its vibrancy. 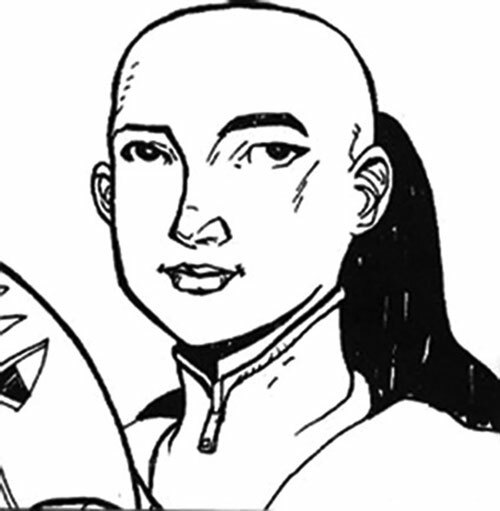 She let her hair grow out from her monastery days, but recently shaved it again when it developed a distracting tendency to blow in nonexistent winds. 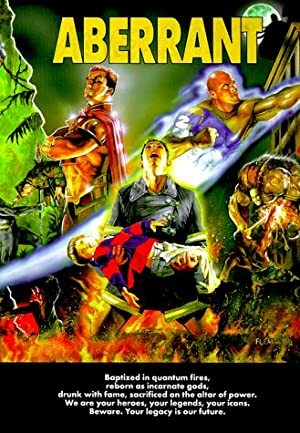 Seeding a later attempt to discredit the Guardians of the Universe, agents of the Manhunters took Raphael in, and trained her to access the energies used by the Guardians, the Zamarons, and the Controllers. They also trained her in a variety of combat methods. To hide their work, the woman’s memory of the training was erased and replaced with an attractive story of Zen enlightenment. Linda Rafael was then released into the world as a hero, intent on working with the JLA (With whom the prized agent of the Guardians, Hal Jordan, could be found). Not unlike the Phantom Stranger’s association with the JLA years after, Linda would frequently arrive in the fledgling JLA’s headquarters with cryptic information of impending doom. She also up involved in the case before she could move on. Her association with the League was unfortunately shattered during the Mark Shaw’s betrayal of the JLA. Shaw unleashed Raphael’s memories, including suppressed programming to cause her to betray her friends. Unwilling to do so, she fought her own mind, winning only enough to escape the situation before harming her former allies. Lotus Infinite has not been seen since, though with the fall of the Manhunters, it is rumored that she has become a mercenary, not unlike Shaw’s bounty hunter role. Broadcast Empath is Always On, has Area Effect, and only works on those who in the presence of Lotus Infinite and are looking at her. Broadcast Empath can only cause those affected to hold her in awe. Attractive, Insta-Change, Iron Nerves, Rich Family/Friends. Helper(s): John Colagioia, Kitten, David Johnston, John McGraw (for general Aberrant information), Mark Ayen (for Aberrant/DCH conversion guidelines), Aberrant: Elites (for Personality, History, Powers and Abilities, and Description/picture).